Weatherbeeta Comfitec 1000D Diamond Quilt Detach-A-Neck Medium - Blue/Charcoal/White. 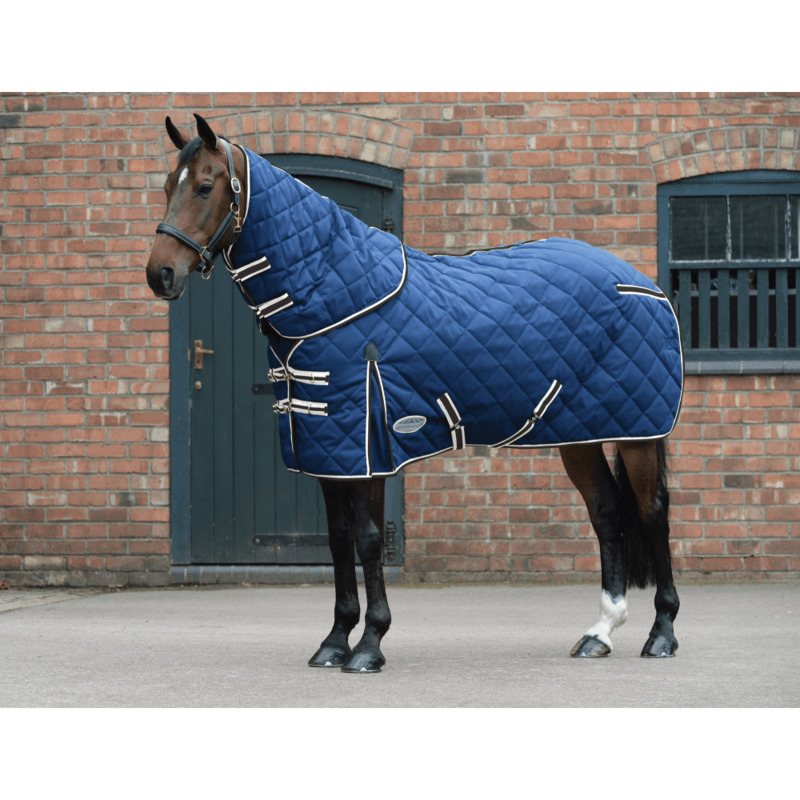 This stylish and durable stable rug is made with a 1000 denier polypropylene diamond quilt, a 210T polyester lining and a 250g filling. Other features include a quick clip front closure offering maximum adjustability, cozi-cuff on the main rug portion with memory foam wither relief, a traditional side gusset for natural movement, low cross surcingles and tail cord. There are currently no questions for Comfitec 1000D Diamond Quilt Detach-A-Neck Medium - be the first to ask one!